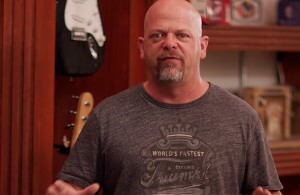 Rick Harrison, star of History Channel’s Pawn Stars and owner of the Gold & Silver Pawn Shop, will be in Ankeny Friday to celebrate the opening of Republican presidential candidate U.S. Sen. Marco Rubio’s Iowa campaign headquarters. Rick will meet with Iowa voters beginning at 5:30 p.m. and share why he’s endorsing Rubio for president. Rubio’s campaign office is located at 207 NE Delaware Avenue, Suite 24, in Ankeny.